T-Mobile G1 was the launch device for Tmo's 3G network, which only worked in a few markets at the time. The carrier sold it for $179 with a 2-year contract or $399 without one. The headlining features included native apps for Gmail and Maps, as well as music downloads via Amazon. The Android Market came pre-installed, but the app support was limited, to say the least. Google didn't get paid app support worked out until early 2009. When the G1 launched, the Apple iPhone was already in its second generation. That device was reshaping the mobile industry as Apple ran circles around established players like RIM (later Blackberry). Everyone was trying to come up with a way to compete with the iPhone. For RIM, it was the Blackberry Storm, which was an unmitigated disaster. That phone tried to copy the iPhone in all the wrong ways, but the G1 forged its own path in an attempt to address some complaints with Apple's device. At the announcement event, Android head Andy Rubin stressed that Android was different because it had openness built in. It was so open that the initial release (accidentally) came with universal root access—you could reboot the phone by typing "reboot." Oops. Even back in those early days of Android 1.0, you could customize your home screen with widgets, icons, and wallpapers. The iPhone circa 2008 still had no multitasking, but the G1 could leave apps running in the background. The web was not very optimized for touchscreen phones at the time, and it was frustrating to tap on tiny text links with the iPhone. The G1's solution was a trackball, which would be a mainstay of Android devices for years to come. The G1 also distanced itself from the iPhone with a slide-out keyboard (Android 1.0 didn't even have a touchscreen keyboard). 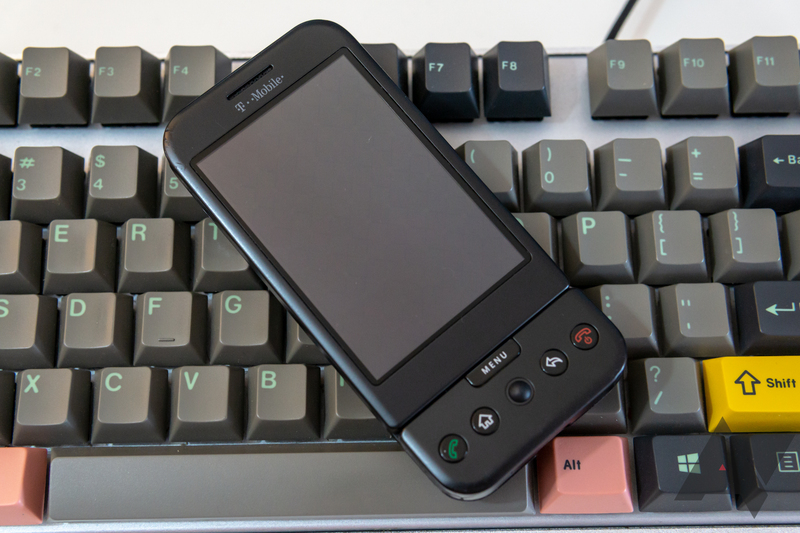 The G1 was far from the first phone to have a keyboard—that was actually quite common for Blackberrys and WinMo devices, but Android was more modern than those platforms. The iPhone took a lot of heat for its touchscreen keyboard, and this was Google taking a stand for physical buttons. The G1 had a five row keyboard with well-spaced keys. It was much faster for entering text than the iPhone's early touchscreen version, although it didn't have a lot of travel. Some of the features we know and love from Android today existed at launch on the G1. For example, the aforementioned widgets. There weren't many of them pre-loaded on the G1, and developers couldn't make their own yet. Still, you can recognize the same basic functionality a decade later. The G1 also had a notification shade. It looked a bit different than the shade of today, and the functionality was rudimentary, but it was worlds better than what you got on the 2008 iPhone. The G1 didn't have a headphone jack, either. Talk about a vision of the future, right? In order to use your 3.5mm headphones, you needed to plug in an adapter for the USB EXT port. 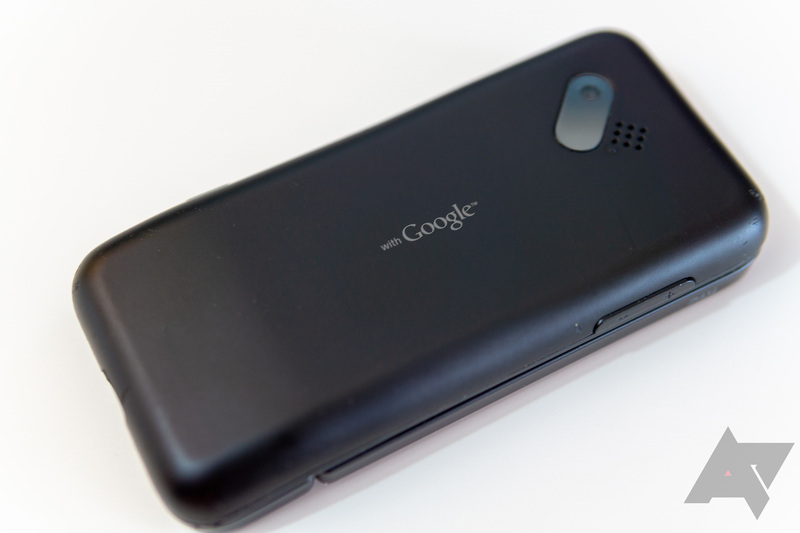 The G1 was the only Android phone in the world until the HTC Magic (aka the T-Mobile MyTouch 3G) launched the following year. With just those two phones, things looked grim heading into mid-2009, but a flood of phones hit the market that fall. The deluge of Android devices still has not abated all these years later, and it all started with the G1. Weekend poll: What version of Android does your phone run?